NEW! These are troubling times for the family of God. 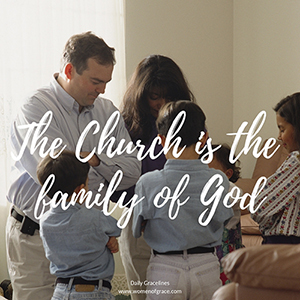 Our Church, our priests, our faith, our families, are being attacked from all sides. That is why we will focus our upcoming Novena on the intention of praying and interceding for marriage, family life and for the family of our Catholic Church. Rev. Father Samuel Mwaka, a priest of the Archdiocese of GULU in Uganda, will celebrate a Novena of Masses beginning on February 14th, St. Valentine's Day and run through February 22nd, the Feast of the Chair of St. Peter the Apostle, the day after the Bishop's meeting in Rome begins, specifically for those who are married, for those struggling in marriage, and marriage in general, which is so under attack here in the United States and around the world. To remember your loved ones in this special Novena of Masses, please click here.